Black Bermudian persons ventured into the news paper publishing business in early 1873, when a family with an astute mind for business started the first printing service. The Parker family who came to Bermuda from Canada purchased a large piece of property and developed a grocery store and then ventured into printing news centered on black on black activity in Bermuda. The newspaper was called the Bermudian Times and Advocate. It was operated by John J Parker and Samuel Parker Jr. It was published for many years and every Tuesday it hit the stand on that same afternoon. By 1897 Samuel Parker stepped aside and John J Parker established another paper called the Peoples Journal at #16 Court Street the cost for an issue at that time was 3 pence. An interesting note that both Samuel J Parker Sr. and Jr. were founding members of the Berkeley Institute. The printing of the black newspaper business continued in leaps and bounds when a group of men influenced by the Marcus Garvey movement founded another newspaper called the Bermuda Recorder in 18th June 1925.These men were Alfred Place, David Augustus Sr. Henry Hughes, James Rubain and Joaquin Martin. These four men who established the Recorder were all lodge men and members of the UNIA. Mrs. Julia Place wife of the managing editor was one of the driving forces behind the newspaper as she was the person who for many years walked from door to door soliciting ads and looking for feature stories. She also took on much of the secretarial and book-keeping work. 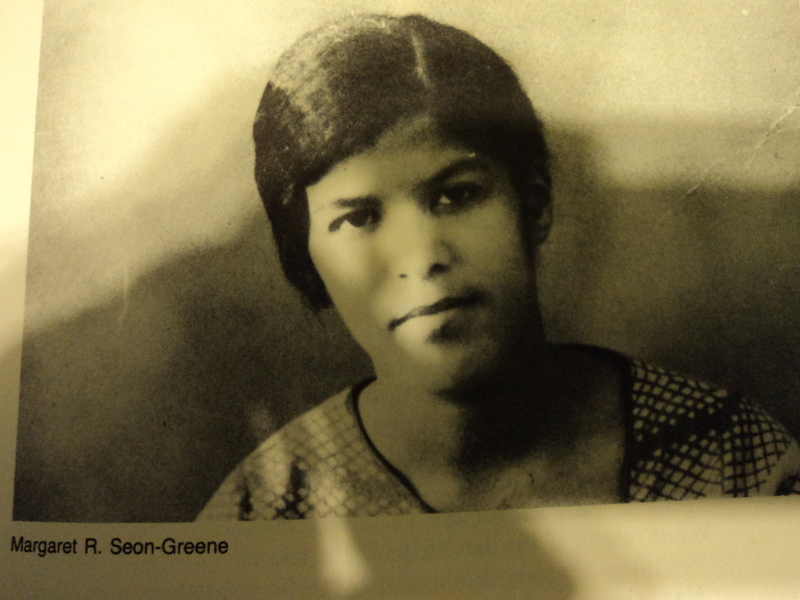 She was a garveyite. It was even more necessary for a black newspaper to continue but the journey was difficult. This paper had competition with another newspaper that was established in 1828 known as the Daily, later known as the Royal Gazzette. This paper received the benefit of adverts from highly claimed front street upper class and the Recorder adverts came in short supply. It struggled on until two years before its’ 50th. Anniversary when it shut its’ doors for the final time. Two major journalist at that time were Mrs. Cecilie Musson Smith and Ira P Philip. 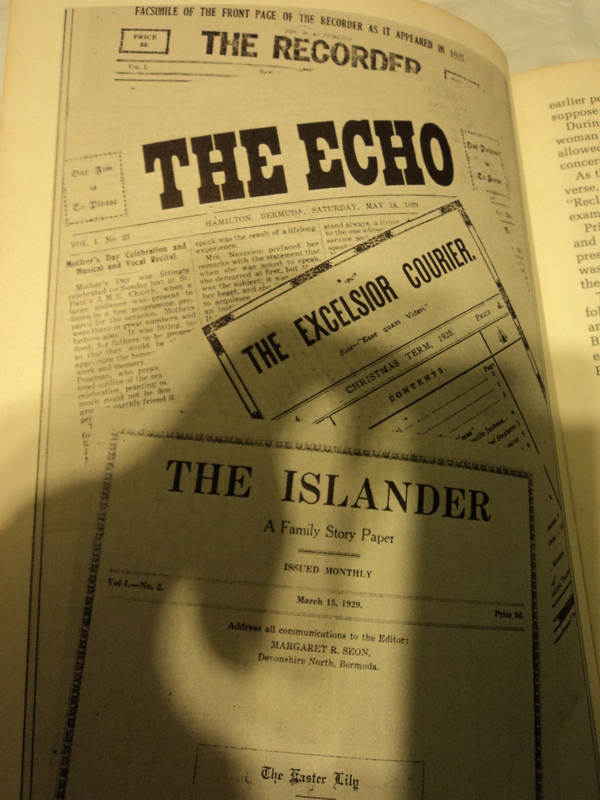 Two more newspapers came on the circuit one published by Mrs. Margaret R. Seon Green known as the ‘Islander’ published in 1931 and ‘The Echo’ published by Victory Printers on Angle Street which was a family story paper issued monthly. More newspapers followed these, one run by the family of Dr. Ewart Brown started in early 1987 and its editor was Mr. K. Murray Brown known as the ‘Bermuda Times’ this paper likewise continued for a short span and because of lack of support from both classes of Bermudians became redundant about 1997. The remaining paper the ‘Workers Voice’ came on the scene in 1971 with news recorded mainly to bring information of the working person and was associated with our Workmen’s Union. Its early editor was Mr. Lionel Pearman with Mrs. Doreen Lightbourne and Dr. Barbara Ball as assistants. Upon their deaths the present editor Ms. Laverne Furbert took over the reigns and this is the only paper that continues to produce any type of significant news related to the black population. It is hard to imagine an Island such as Bermuda now having one newspaper The Royal Gazzette but it tends not to be a paper for all people but here we are and all eyes look to a new way to get any information over to the people of Bermuda such as face book twitter and any and all of the latest technology what will die out next? Your guess is as good as mine. C. Bd. Times personal Archives W V. Anniversary Copy Personal Archives.